$7.64 Vintage Silverplate Ice Tongs Mid Century Modern Plain Pattern 7 1/8"
$9.99 (1 bid) MID CENTURY MODERN STERLING REED BARTON DISH NO RESERVE! 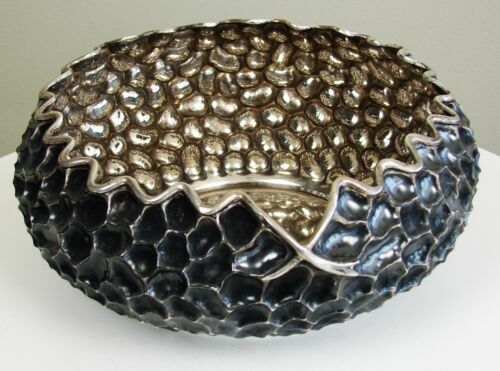 $12.99 Vintage Silverplate Rectangular Tray Serving Dish 14" X 10"
$53.14 VINTAGE Oneida Community Silverplate SOUTH SEAS pattern (1955) 58 PIECES EUC! 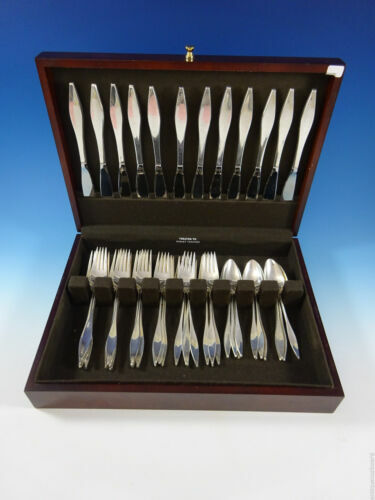 $1679.0 Towle Sterling Silver Flatware "Laureate 1968" 68 Pieces 3,668 grams total! 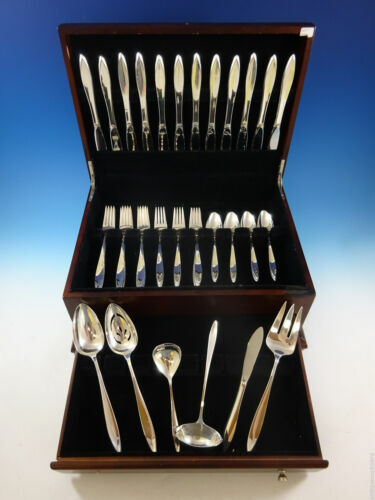 Buy: $1959.0 Gorham sterling silver flatware Stardust 76 Pcs. 12 place sets + serving pcs.